Home/Uncategorized/It’ll be All White on the Night! 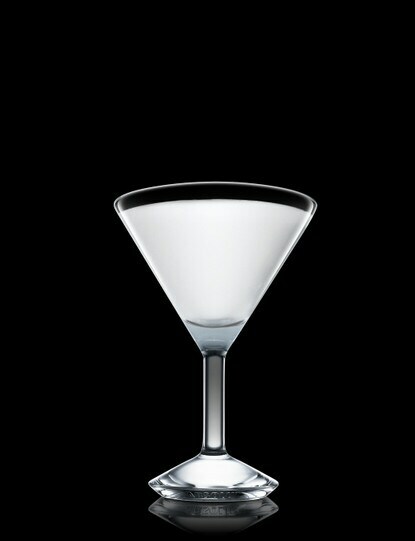 White is elegant. Embrace the white-on-white theme to make a corporate event, wedding or birthday bash feel professional and sophisticated. Every party needs entertainment, booking some fantastic white themed acts will perfectly fit into your white party! From futuristic-looking white Dancing Robots, or a cellist – with a white cello and dress – can provide the accompanying soundtrack. 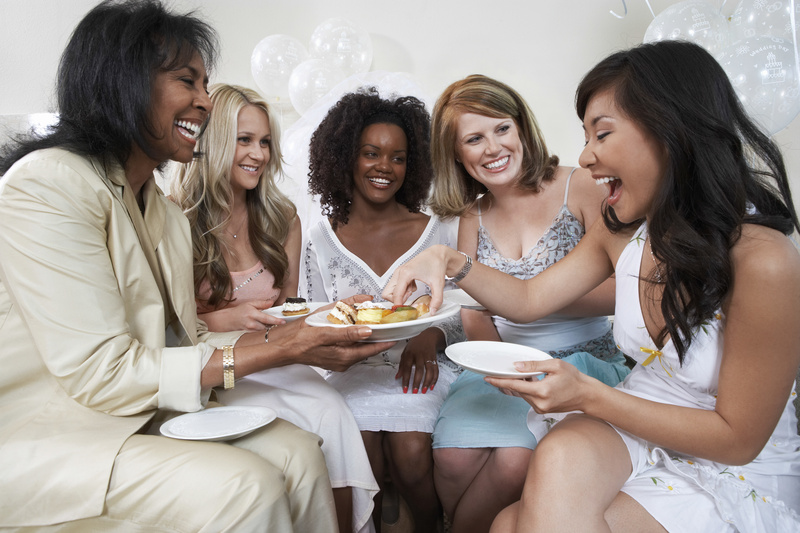 If you want to add some humor into the party, serve white foods, such as chicken, rice, and white asparagus. Of course you can always serve white cake and vanilla ice cream at a wedding, but those are dessert favorites, appropriate for any event. The possibilities are endless! 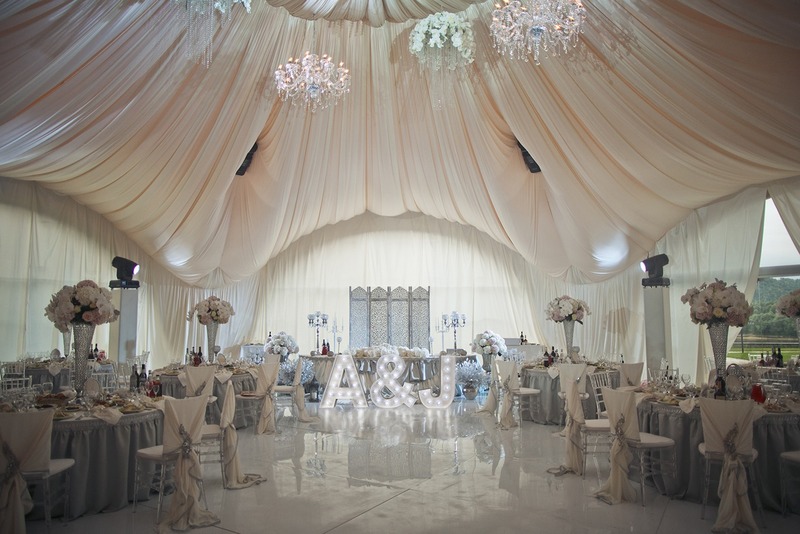 White-on-white decor can include feather-embellished centerpieces, abstract fabric sculptures, white-tufted furnishings, and flowers hung upside-down. Last but not least, ask your guests to wear white. 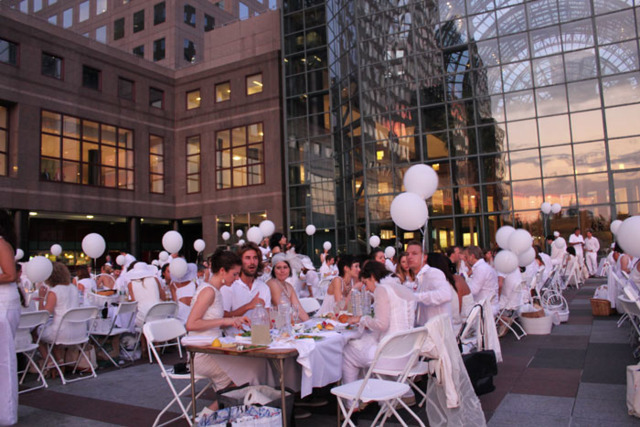 For New York’s first Dîner en Blanc at the World Financial Center Plaza last year, guests were asked to wear white clothing and bring a list of items—including white plastic folding chairs and square tables, white tablecloths and napkins, white dinnerware. Happy event planning from the team at Rent Letters!